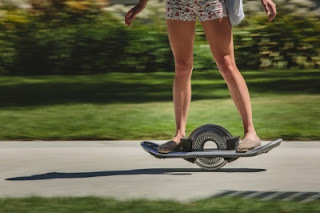 Announcing the "Hoverboard," a personal electric vehicle to be launched on Kickstarter September 17, 2015 and culminating October 21, 2015, the day Marty McFly, in Back to the Future II, traveled into the future to discover the Hoverboard. The Hoverboard is as much a "board sport" as it is a tech gadget. Serial Entrepreneur and Inventor, Robert Bigler explains, "I dreamt of a personal electric vehicle that would produce the sensation of surfing on land." The Hoverboard is targeting the higher-end consumer market. Bigler explains, "I didn't want to approach the first real Hoverboard from the standpoint of making it a price-product. I spared no expense to make it fully, everything today's technology could possibly provide." The Hoverboard has a single, electrically motorized, 10" diameter wheel in the center of its deck. The narrow wheel is computer-controlled and driven by as much as 5,000 watts of power to keep the rider balanced while also producing acceleration on demand. Leaning forward causes the Hoverboard to accelerate, and leaning back causes it to decelerate, or go the other direction. There are no controls to hold in your hand. While the computer and power electronics automatically keep the Hoverboard under the rider front-to-back, the riders themselves develop the skill to balance side to side, maneuver and ultimately "carve." The experience evolves from hovering, to fully surfing on land. 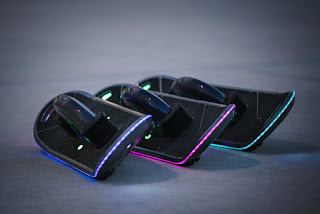 The Hoverboard is equipped with onboard lighting, speakers to play music, ground-detecting sonar to keep the Hoverboard parallel to the changing ground, and LCD displays for active parameter monitoring while riding. When designing the Hoverboard, Mr. Bigler remembered simpler times, when people were empowered with the ability to work on their own cars, not just to maintain them, but also to customize and improve them. He wanted to bring this empowerment back and so made the Hoverboard OPEN. Tool-handy owners are not only allowed to open their Hoverboards - they are encouraged to do so. The majority of service and even repair tasks can be conducted by the owners themselves. This also means that the Hoverboard can be User-Upgraded. Most often, the first to purchase tech products have to then watch a rapid succession of improvements to the design quickly render their investment obsolete. With the Hoverboard, such improved modules can be purchased and installed to keep the original investment always fully current. To absolutely maximize an owner's personal connection to the Hoverboard, it has also been made User-Programmable by way of a simple programming language called Hoverscript. An extension of BASIC, Hoverscript is easily learned by people with no previous programming experience. This programmability eliminates all boundaries to the owner's ability to completely personalize their own Hoverboard. The Kickstarter campaign will reward the first to order with the lowest prices and the earliest delivery times - FIRST COME, FIRST SERVED, starting Sept. 17th. Now, with working prototypes and production-ready designs, Mr. Bigler is going to Kickstarter to find out how many people share his passion. 0 comments on "Programmable Hoverboard for the Consumer Market to be launched on Kickstarter September 17, 2015"